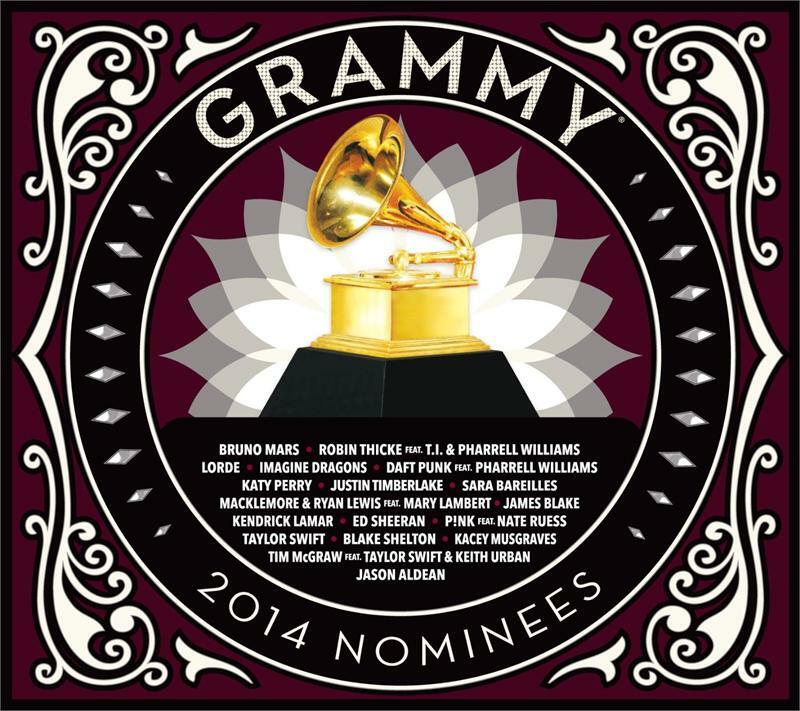 The 20th anniversary installment of the best-selling series features 18 top-charting hits from a diverse array of this year's GRAMMY-nominated artists and songwriters. 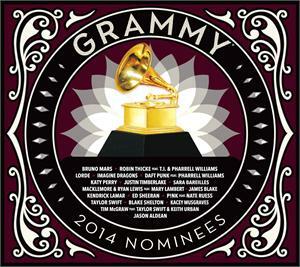 The 2014 GRAMMY® Nominees album includes many of the year's most prominent recordings and performers, highlighted by all the nominated artists and songs in the high-profile Record Of The Year, Album Of The Year, Song Of The Year, Best New Artist, Best Pop Solo Performance, and Best Country Album categories. The collection is made possible by a special arrangement with all of the major music distribution companies and rotates labels from year to year. 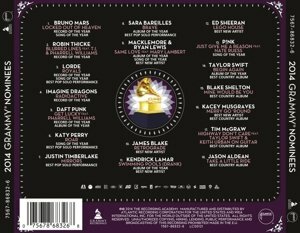 A portion of the proceeds from sales of the album benefits the year-round efforts of the GRAMMY Foundation® and MusiCares Foundation® - two charitable organizations of The Recording Academy.